On the seventy-fifth anniversary of the classic Civil War epic, author Ellen Brown unveils the story of Lois Dwight Cole ’24, a previously unheralded editor and close friend of Margaret Mitchell ’22 whose diligence and knack for knowing a good story changed the course of literary history. Lois Dwight Cole ’24 in her Smith College yearbook photo. 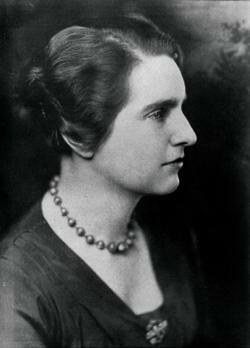 In 1927, Lois Dwight Cole ’24, a bright and bookish young woman from New Jersey, landed a job as the office manager of the Atlanta branch of the Macmillan Company, the largest and most esteemed publishing firm in the United States. Though New York was the epicenter of the literary world, Cole gladly picked up stakes and moved south to what was then a sleepy town. Three years out of Smith, she knew it was part of paying her dues. A handsome brunette with sparkling blue eyes, the newcomer had no trouble making friends and quickly became a popular member of the Atlanta social scene. 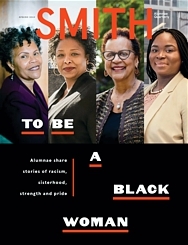 At a luncheon one afternoon, she found herself seated across from a former reporter and aspiring novelist named Peggy Marsh, who, she soon discovered, also had attended Smith College. Though they were close in age—Marsh was just two years older—their paths had not crossed in Northampton because Marsh had withdrawn from school for family reasons after her first year. The women struck up an easy conversation, marveling at how much they had in common. A friendship blossomed, with the pair becoming integral parts of each other’s lives. In fact, within weeks of their meeting, the already married Marsh set Cole up with the man she would marry. In 1930, Cole finally received her big break when Macmillan offered her an associate editor position at its New York office. The friends parted ways, promising to keep in touch. They didn’t know it as they said their goodbyes, but Cole’s new post ultimately would serve as a springboard for both of their careers and forever change the course of literary history. 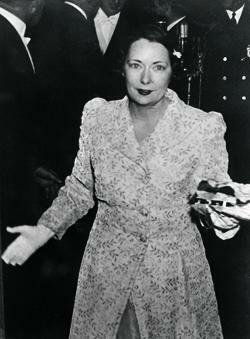 Margaret Mitchell ’22 at the 1939 premiere of film version of Gone With the Wind. I first encountered Lois and Peggy’s story in 2007, when I was hired by a magazine to write a profile of John Wiley Jr., a collector of memorabilia relating to the 1936 novel Gone With the Wind and its author, Margaret Mitchell ’22—who in day-to-day life went by her married name, Peggy Marsh. Wiley enthralled me with a behind-the-scenes look at Mitchell’s famous novel and why he had devoted so much of his life to preserving its legacy. Intrigued, I asked him to point me to a book or article where I could learn more. He directed me to various Mitchell biographies and compilations of her letters but advised me that a detailed history of Mitchell’s novel had yet to be written. A few conversations later, Wiley and I decided to join forces and fill this gaping hole in the literary canon. Scouring Mitchell-related archives around the country, we developed a detailed chronology of the key eventsin the life of Gone With the Wind. As the story took shape, I felt sure we were creating something of value. Especially meaningful were the discoveries we made about the many people other than Mitchell who had contributed to the novel’s success, everyone from the dust-jacket designer and copy editor to the traveling salesmen who shamelessly hawked the book in an effort to build buzz about Scarlett and Rhett. While Mitchell’s raw talent and hard work gave birth to Gone With the Wind, the debut author and her literary progeny would not have become superstars without a strong supporting cast. According to GWTW lore, the leading member of that cast was Harold Latham, Macmillan’s editor in chief and Lois Cole’s boss. In 1935, he embarked on a scouting tour of the American South looking for new literary talent. During a stop in Atlanta, he made a point of speaking with Mitchell, whom Cole had said was a fine storyteller and might have a manuscript for him to see. When Latham and Mitchell met, she admitted she had been working on a novel about Civil War–era Georgiabut said it was not yet ready for outside scrutiny. After a few conversations though, Latham convinced her to let him see the manuscript. She handed it over as he was on his way to catch a train to his next destination. The rest, as they say, is history. The manuscript would become a blockbuster book and film called Gone With the Wind,and Latham would be heralded the world over as the brilliant editor who struck literary gold with an unknown housewife from Atlanta. He also would be lauded as the guiding force behind Mitchell’s career; as one commentator gushed, he became her “beloved” adviser, the only one of the Macmillan people who “never lost Mitchell’s confidence.” Newspapers at the time were fond of saying that the story of his discovery and grooming of Mitchell was as fascinating as the saga she had written. But, as Wiley and I soon discovered, this fabled history of Gone With the Wind was woefully incomplete. In most stories about the book’s genesis, Cole is treated as a bit player, credited only with suggesting that Latham talk to Mitchell. The research Wiley and I conducted, though, which included a thorough review of the Macmillan files at the New York Public Library and personal correspondence between Mitchell and Cole, told a remarkably different story. The truth is that Mitchell and Cole had remained close throughout the 1930s, and Cole had clearly been involved in every aspect of GWTW’s acquisition and development. In fact, Cole had been courting Mitchell for years by the time Latham swooped in and got his hands on the manuscript. Even before Cole moved to New York she had encouraged Mitchell to submit her work to Macmillan, and in the years since, had made Mitchell promise that the firm could have first dibs on any manuscript she produced. While it is true that Latham physically took custody of the manuscript from Mitchell, he did not have much else to do with it. Latham gave it only a cursory glance before shipping it off to Cole to sort through and assess. And what a job that was. Mitchell’s manuscript was a tatterdemalion mess—nothing more than an enormous stack of disorganized chapters. There were multiple drafts of many sections. There were significant gaps in the storyline. There was no first chapter; Mitchell had provided only a rough outline of what she had in mind for the opening scene. Cole spent hours, many on nights and weekends, wading through the pages and organizing them into a readable, if incomplete, narrative. She then prepared a detailed editorial overview of the manuscript’s attributes and deficiencies. By the time Latham made it back to New York from his scouting tour that spring of 1935, the manuscript was in order, and Cole already had determined that Mitchell’s work, even in its incomplete state, was a gem of unquestionable quality. Latham agreed with Cole’s assessment and, in July 1935, Macmillan offered Mitchell a publishing deal. Here again, Cole played a determinative role. The novice author trusted Cole implicitly and never considered shopping the manuscript to other firms. A stickler for legal technicalities, Mitchell did try to nitpick a few contract terms, but quickly fell into line when Cole admonished her that Macmillan’s standard contract had been good enough for thousands of other authors and ought to be good enough for Mitchell, too. The Atlantan signed on the dotted line. As the manuscript moved into the revision and production phases during the fall of 1935, Latham left town on another scouting trip, putting Cole in charge of Gone With the Wind. She oversaw the entire process, alternating deftly between soothing the author’s jangled nerves and nudging her along when deadlines were missed. Cole worked with Macmillan’s art and sales departments to develop the book’s design and marketing strategy. When Macmillan renegotiated Mitchell’s contract on less favorable terms, Cole smoothed things over. Then, leading up to and during the book’s release in 1936, the associate editor was Mitchell’s biggest cheerleader, supporter and, as necessary, counselor. While Cole ran herself ragged, Latham enjoyed a four-month vacation. After Gone With the Wind’s release, Cole had technically completed her editorial tasks on the book. Nevertheless, she kept a close eye on it and continued to work behind the scenes on its behalf for years to come. One of her most noteworthy contributions was ensuring that Macmillan kept the book’s working papers intact for the sake of posterity. The firm’s document retention policy called for the editorial department’s records to be destroyed after seven years. This meant the GWTW files were slated for the incinerator beginning in 1942. Cole felt strongly that an exception ought to be made in the case of the Mitchell papers, noting that ‘‘our descendants might be much annoyed at our departed spirits for having destroyed [them].” The files were spared. Thanks largely to Cole’s initiative, they remain intact today, now housed at the New York Public Library. Also noteworthy, Cole kept up with Gone With the Wind even after leaving Macmillan in 1945. She went on to work for several other publishers, but her first loyalty was always to Mitchell’s book. Though most books about Mitchell’s life largely ignore her relationship with Cole, the reality is that they were as close as family. When Cole gave birth to her first child, a son named Allan, she designated Mitchell his godmother. The author, who had no children of her own, enjoyed playing the role of doting “aunt” to Allan and his sister Linda. Mitchell looked forward to teaching Linda all the important things Southern women know and promised they would spend a summer together in Atlanta when Linda became a teenager. A tragic accident robbed the girl of what would have surely been a memorable experience. In August 1949, Mitchell died as a result of injuries sustained from being hit by a drunken driver as she walked across Atlanta’s famed Peachtree Street. Cole and her family were on vacation at the time in the remote reaches of the Adirondack Mountains. It was one of the great regrets in Cole’s life that she was unable to get to Atlanta in time for the funeral. Distraught, Cole maintained close ties with Mitchell’s husband and brother, who inherited the GWTW literary rights. Stephens Mitchell, the author’s only sibling, turned to Cole time and again for her insights and advice. She played an integral role in his decision to authorize a biography of his sister and served as editor when Stephens took a stab at writing it himself. (Perhaps Cole’s greatest contribution to the estate was gracefully convincing him to turn the project over to a professional writer.) Cole remained active in the management of the Margaret Mitchell estate until her death in 1979. Where was the “beloved” Harold Latham all this time? Throughout his many years at Macmillan, Latham was something of a literary vagabond, traveling for weeks and months at a time as the public face of the firm. Even had he been so inclined, he would never have had the time to exert a guiding hand over Gone With the Wind or Mitchell’s career, as has been reported. In actuality, he had done little more than to serve as the book’s advocate at high-level meetings of Macmillan’s editorial committee and sales staff. While his involvement was meaningful and not atypical for a man in his position, it was by no means as hands-on or impactful as Cole’s. So, why had history placed Latham on a pedestal and relegated Cole to the shadows? But there is more to the story than the glass ceiling. Cole’s daughter, Linda Barnes, told me that Cole made a conscious decision to stay out of the spotlight. “It was a matter of loyalty to Peggy,” Barnes explained. The author was an intensely private person and hated being a celebrity. Especially painful to Mitchell had been the discovery that some trusted friends and family members had sought to profit from their association with her. “Seeing how these betrayals hurt Peggy, my mother went to great lengths to avoid any appearance that she was using Gone With the Wind’s success to bolster her own career,” Barnes said, crediting her mother’s allegiance to the values she learned in Northampton. “Smith women tend to be intensely loyal,” Barnes explained, and Cole was no exception. “She loved everything about the school. Her years there were among her best, full of good, shining moments.” Cole was active on alumnae committees, served on the board of the Smith Alumnae Quarterly, and never missed Reunion. She treasured her Smith family, of which Mitchell was a part. Moreover, Cole had too much going on in her busy career to fret much about any one book, even one as big as Gone With the Wind. She had a family to take care of and many other Macmillan titles that demanded her attention. Cole was especially proud of having acquired and edited a Pulitzer Prize–winning biography of her ancestor Jonathan Edwards, the eighteenth-century theologian. Cole also enjoyed success as an author. A compulsive writer, she moonlighted as a novelist, releasing books under a variety of pseudonyms—Caroline Arnett, Allan Dwight, and Nancy Dudley, to name a few—in genres ranging from juvenile histories to gothic novels. Seventy-five years ago this summer, on the eve of her book’s release, Margaret Mitchell inscribed a copy of Gone With the Wind: “To Lois Cole, who fought by my side with great gallantry in the engagements of Dalton, Resaca, Peachtree Creek and the siege of Atlanta, and who managed to get me to press on time.” This heartfelt appreciation from her treasured friend meant more to the editor than any salary bonus or front-page news story. Of the many stars orbiting Mitchell and her famous novel, none shone more brightly than Cole. Ellen Brown is an award-winning freelance writer and co-author of Margaret Mitchell’s Gone With the Wind: A Bestseller’s Odyssey from Atlanta to Hollywood, a behind-the-scenes look at one of the most popular and controversial novels in publishing history. She lives in Richmond, Virginia’s, historic Fan District and is on the boards of the Library of Virginia Foundation and James River Writers.